Come dance and sway with Austin’s Kupira Marimba and let the music of Zimbabwe fill your hearts and souls. 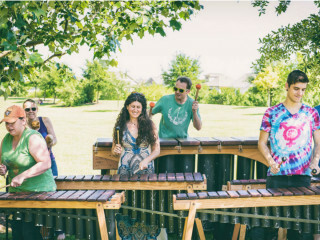 A full-sensory experience, Kupira Marimba's high-energy, joyful music is a foot stomping, heart pounding, hand clapping event for the whole family. Under the direction of master percussionist Joel Laviolette, Kupira highlights include the Austin City Limits Festival, Utopia Fest, Sunset Valley Arts Fest, Long Center for the Performing Arts, Levitt Pavilion, Austin Earth Day Festival, Masterworks Concert Series, and many more.